Can anybody help, please? 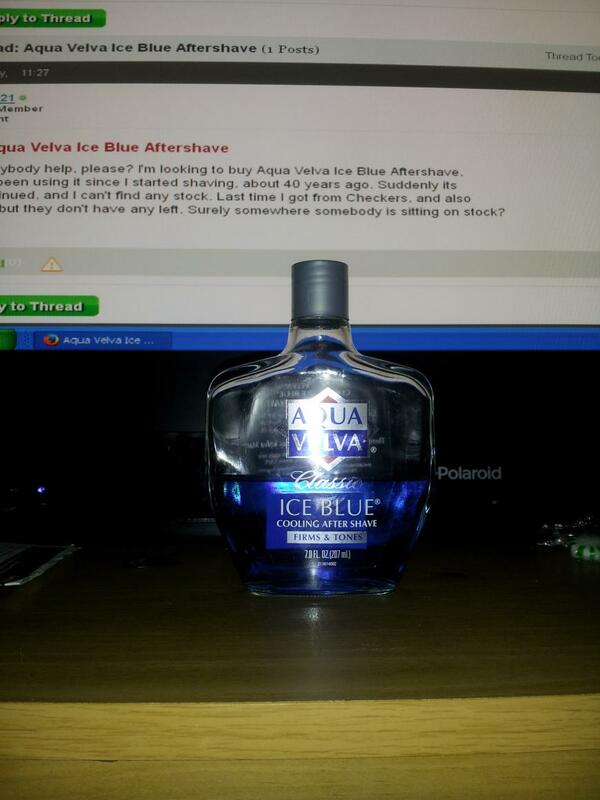 I'm looking to buy Aqua Velva Ice Blue Aftershave. Clicks, but they don't have any left. Surely somewhere somebody is sitting on stock? Is this the one? Have you tried looking online because maybe online stores are carrying the product? It has been discontinued in SA - however a lot of pharmacies do have old stock. Best bet is to phone the pharmacies in the suburbs (out of town) & check. 207 ml bottle. If you'd like me to list, let me know. How much does it retail for, please? If I purchase in lot of 12, I can get for $85.00USD... around $7.00USD each (includes our 9.5% sales tax). This is a special order through local drug store. Not in stock, but they will order in and I can pick up and ship to you. If you can find for less your side, that is the way to go, but if not, this may be an option. POST NOTE: My apologies. I will not be able to ship. According to USPS website: It's illegal to ship hazmat without a federal permit. Perfume & Aftershave containing alcohol is prohibited on air transportation, and can only be shipped domestically via surface transportation and is prohibited in international shipments. It CAN be shipped FedEx, UPS, DHL but they charge a special handling fee as items containing alcohol are highly combustible and require special packaging and 'securing' when being shipped via air overseas. This fee is in addition to 'normal' courier charges. Unilever distributed and the one from J. B Williams, USA, is the same product. Thanks Ruthie, but $85.00 is a bit much for me. Appreciate the help. I was fortunate that Unilever send me their last remain stock, 6 bottles, free of charge. A BIG SHOUT OUT to them, that's is really awesome. 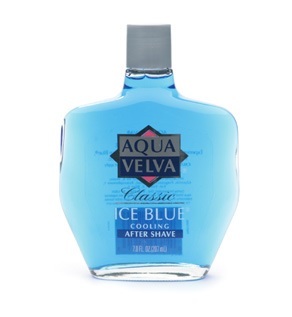 TONS of Aqua Velva Ice Blue after shave on this side of the Atlantic. Here's a website that sells bottles for just over $4/US each. I don't know what shipping would be to SA, but, using UPS, DHL or FedEx wouldn't be prohibitive and would go around SAPO's current problems, I believe.